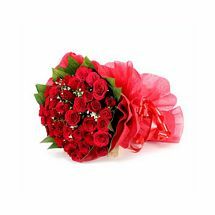 Valentine Flowers Online: Buy or send romantic valentine flowers online for your love from Elite Handicrafts at affordable prices. Select from a range of romantic flowers for your valentine. We deliver valentine day flowers in all over India with FREE Shipping. Whether you want to express your feelings or want to express gratitude or simply wish to show respect towards a person then flowers are the best medium to convey your stances. Attractive, fresh, astounding and gentle flowers exhibits and demonstrates affectionate feelings of elegance, gratitude, freshness, love, fondness. When the occasion is so special as Valentines Day then the value of flowers automatically duets. Valentine day that is venerated as the Love festival, across the world holds the deep epitome for flowers. Flowers are the emblem of love; friendship and care are at a high demand during the special V’Day. There is no identity of Valentines Day without flowers, considering this point is never wrong with the description of the special celebration of the year. No matter if he or she is a new member of your heart, or you are blessed with his or her company for a long, expressing your love this Valentines Day through flowers is a great idea to cheer the relationship. This V’Day, tell your Valentine how special he or she is in your life through the blossom of special Valentine Flowers. Keeping in account the annual fete a simple red rose becomes a big sign of love and yellow rose express the keen interest in friendship, a white rose signifies peace and a pink rose is a base for a new beginning. Similarly there are many other beautiful flowers like lilies, orchids, tulips, glades etc. that could flourish your Valentines Day. Cater the very special relationship of your life through special flowers this V’Day. You can passionately present bunch of 100 red roses, bunch of mixed rose, bouquet of roses and glades, a beautiful ikebana of tulip, flower hampers, Valentine bouquet, valentine basket, flower combo, midnight range, glass vase arrangement or simply a big bouquet of mixed flowers to your Valentine. If you are far away, don’t loose heart you can Send Valentine Flowers Online to anywhere in India through Elitehandicrafts.com and speak out loud your special feelings.